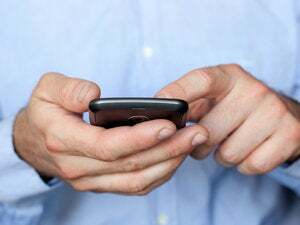 The European Commission has adopted technical rules on how the 900MHz and 1800MHz radio frequency bands should be opened up to LTE (Long-Term Evolution) and WiMax, to help spread the availability of broadband on the continent, it said on Monday. The rules are designed to ensure that the next-generation network technologies can coexist with GSM, which is what operators today use the bands for. National regulators have until Dec. 31 to implement the rules, according to a statement. Any regulatory action that removes obstacles for rolling out 4G networks must be a good thing for operators, said Mark Newman, chief research officer at Informa Telecoms and Media. The decision is a step in the right direction because it forces countries that haven't started opening up these bands for 4G to get going, according to Urban Landmark, head of the spectrum department at Swedish regulator PTS. It also simplifies cooperation along national borders and gives an incentive for vendors to start manufacturing more equipment, he said. Both 900MHz and 1800MHz are very attractive spectrum bands. The 900MHz band's signal propagation provides good indoor coverage and can also be used to expand LTE coverage to rural areas. In Europe, the band will be used alongside spectrum previously used for analog TV, to better cope with growing data traffic. For example, Swedish operator Tele2 will let users with smartphones and tablets access the Internet using LTE on the 800MHz band and USB modems and routers will use the 900MHz band, the company said last week at the LTE Forum conference in Stockholm. The 1800MHz band is also getting a lot of attention, and is being pitched as a band that can help make global LTE roaming a reality. The band offers a good compromise between speed and coverage, under the assumption that operators are each assigned two 20MHz channels of spectrum, which is what the current iteration of LTE needs to perform at maximum speeds. However, the attractiveness of the assignments will also lead to legal battles over who gets access to the spectrum. In Sweden, the PTS' decision on how the 1800MHz band should be assigned was appealed, and is now being handled by an Administrative Court of Appeals. That is likely to happen in more countries, especially where there is heavy competition, according to Landmark. The European Commission hopes the technical rules will help boost broadband availability and ensure that its goals are met. The aim is to ensure that all Europeans have access to 30M-bps (bits per second) connections by 2020, and that half of all households should have access to service providing 100Mbps or higher by then.